World Health Day is on April 7th, which is right around the corner! It’s the perfect day to get your peers and patients involved in the festivities. So what is World Health Day and why is it important? Over the past 50 years, the World Health Organization (WHO) has aimed to spread awareness about important health topics. From mental health to child care, World Health Day is a great opportunity to focus attention on health issues that affect as all. Consider doing a presentation for your staff to spark conversation. Educating and sharing knowledge is a great way to generate healthy debate and produce noteworthy ideas. Health workers play an important role in this year’s World Health Day as they are the ones helping decision-makers recognize what people need at the primary care level. Therefore, it’s important that everyone in the healthcare field is knowledgeable about this topic. The World Health Organization website is a great resource to use when celebrating World Health Day. Not only does the website go more in-depth about the year’s campaign, but it provides educational materials you can share with others in-person and on social media. 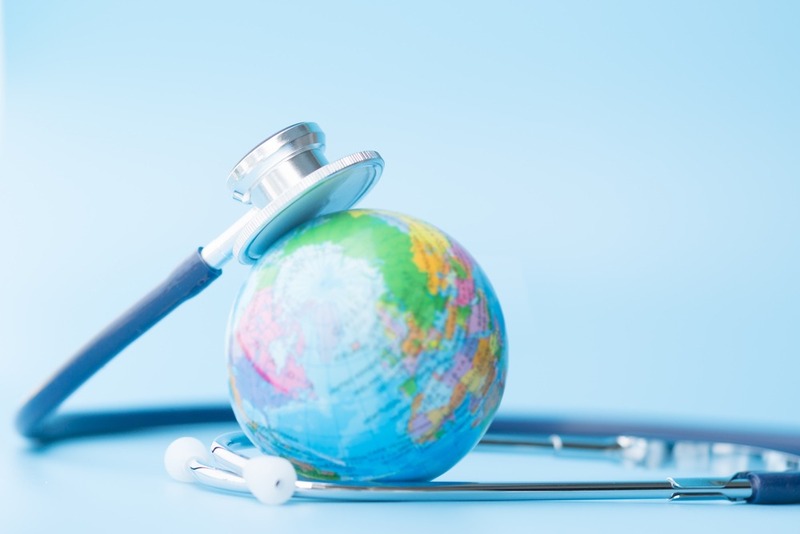 The WHO will soon release its 2019 World Health Statistics Report, which includes information on specific health trends in addition to data on universal health care. This in-depth report is a valuable resource for healthcare workers and patients alike. As a healthcare worker, you are the voice of your patients. Connect with your staff and reach out to local leaders. Let them know what you support! Even if you feel like your voice won’t make a difference, calling or writing letters to your local leaders is an easy way to share your opinions about a topic you’re knowledgeable and passionate about. Empower your patients to take care of their health, answer any questions they have, and teach them what they can do to get and remain healthy. Having quality healthcare is important because it benefits our health, our economies, and our society as a whole. Unite with your peers and patients, call on local and world leaders, and help make better health for all a reality! While World Health Day focuses on a specific health topic, it’s a great opportunity to talk about other health issues as well. What health issues are affecting your peers? Your patients? Host a healthy luncheon, sign up for a charity run, or do a food drive for a local homeless shelter. The options are endless when it comes to educating and promoting healthy habits! World Health Day 2019 is the perfect opportunity to educate yourself and your peers on important healthcare topics that affect all of us. Doing a presentation, reaching out to leaders in your community, and sharing healthy habits are all great ways to celebrate this special day. Here at Unitex, we understand the importance of World Health Day. As a linen and uniform provider with over 90 years of industry experience, we greatly respect what healthcare workers do and want to make their jobs easier in any way that we can. If you are interested in learning more about our medical linen and uniform services, contact us for a free quote at 914-840-3200.